To equip the youth with the music equipment. To multiply and strengthen community reunion for the youth in BAMBU. To build houses for the teachers of EP III St. Therese. To educate the children of the ex-combatant. Provide assistance to the mothers of the ex-combatant. 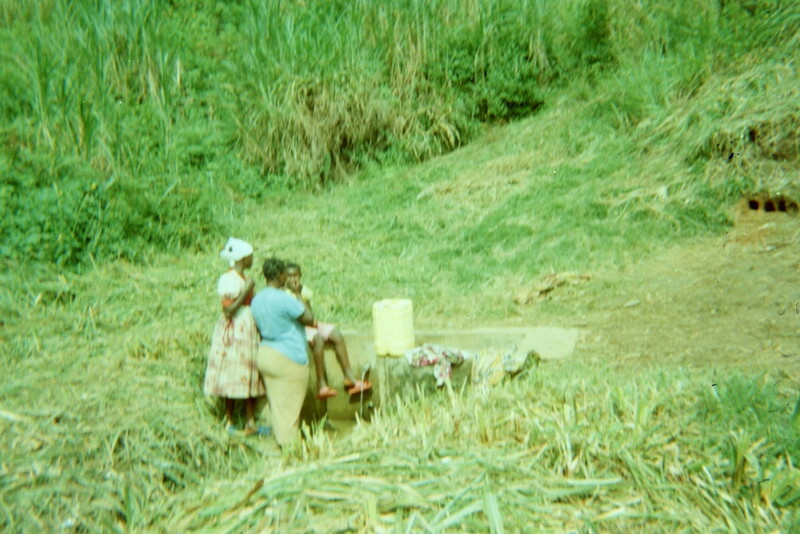 Teach the mothers of the ex-EAFGA to make donuts for income generation. This photo simply means: Create other opportunity for the ladies, i.e. bakery for the ladies. There is need to create a masonry training center for the ex-combatants. It is not good for the ex-combatants to rely on artisanal mining of gold as their main activity. Green banana tree: Hope in life. Water point: Water is life. 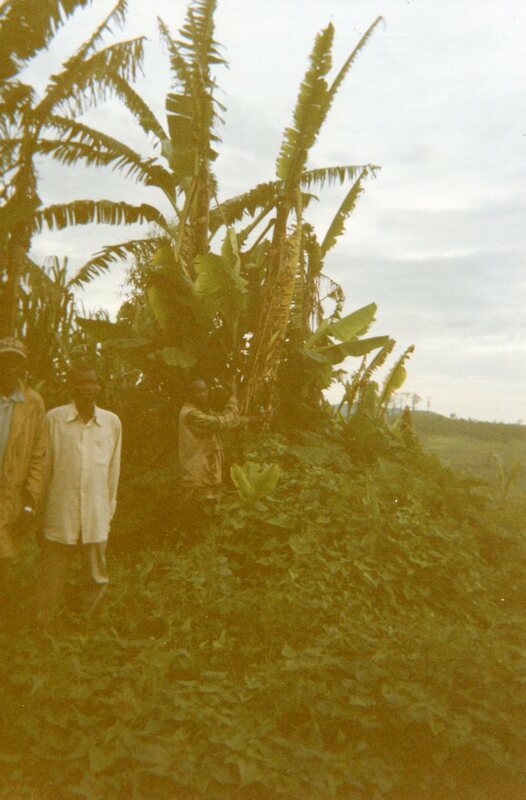 The sickness that is destroying the banana fields. A river crossing that is posing a problem to some women farmers. A 95-year-old widow living in her misery. 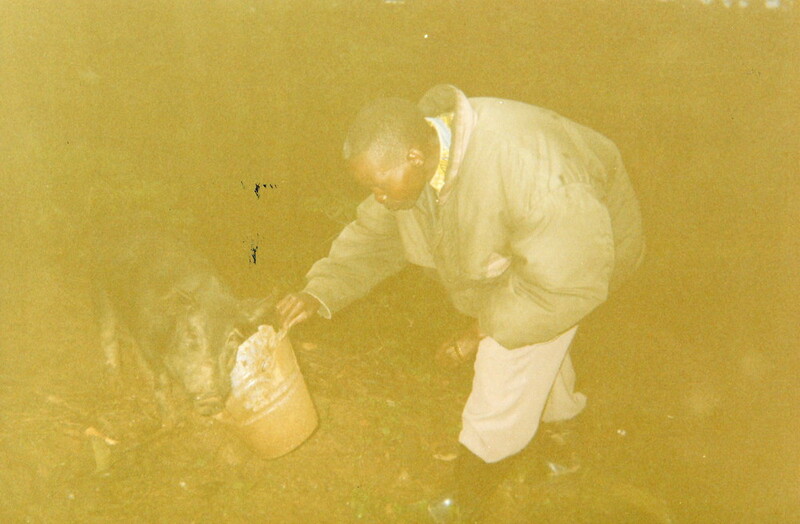 A father who raises pigs to pay for his children's school fees. The elder in the middle gives advice to the family. A bamboo forest on the road towards the airport. A general view of a demobilisation camp and some workers. A collective field belonging to a group of demobilised people. A camp for demobilised people who cultivate a collective field. A dilapidated house that is still inhabited. 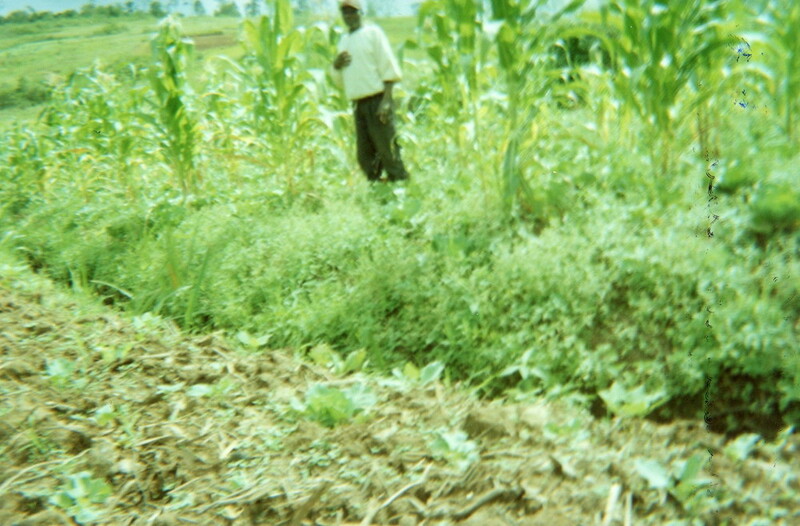 After the war, the most priority is agriculture in order to improve the family standard. Bambu and market center has to be rehabilitated. Rehabilitate the hospital center that is in a very bad state. No electricity because of war. The system has to be rehabilitated. Engagement: Training of the ex-EAFGA in carpentry and tailoring. Reconstruction: People are trying to rehabilitate the village. 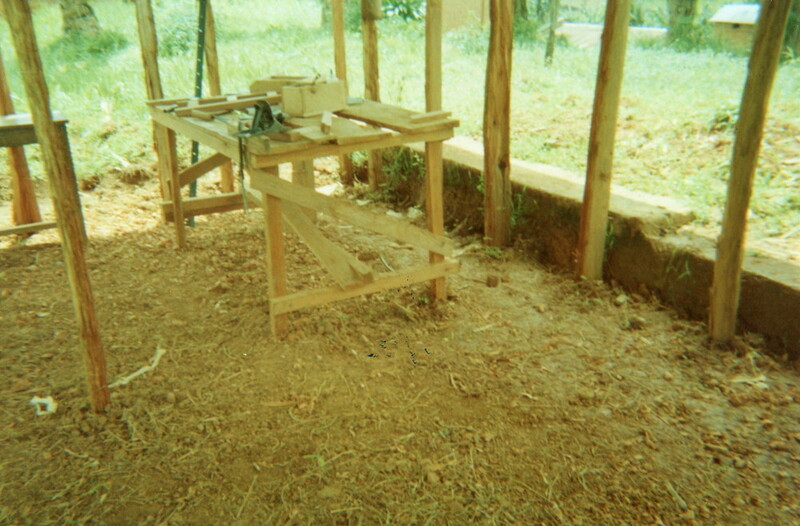 School reconstruction under the initiative of the people. No clean water: Rehabilitate the water point. 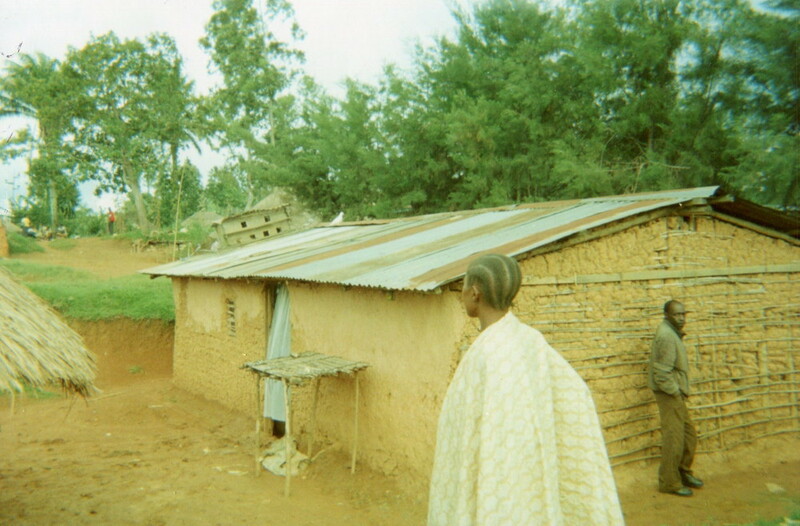 Barbershop for income generation of the EAFGA. Recognize the activity around brick making. Rehabilitate the school and equip the classrooms. There is no water in the water tank since the water system is destroyed. The military and the population are using the same toilet. This can cause illness. The NGOs have to do something for this. Suffering: Houses were destroyed during the war. Regret: The Ugandan military had killed 5 brothers and buried them in the same ditch. The bomb destroyed the house, war is not good. The market is destroyed and needs to be rehabilitated and expanded to the size of the population. 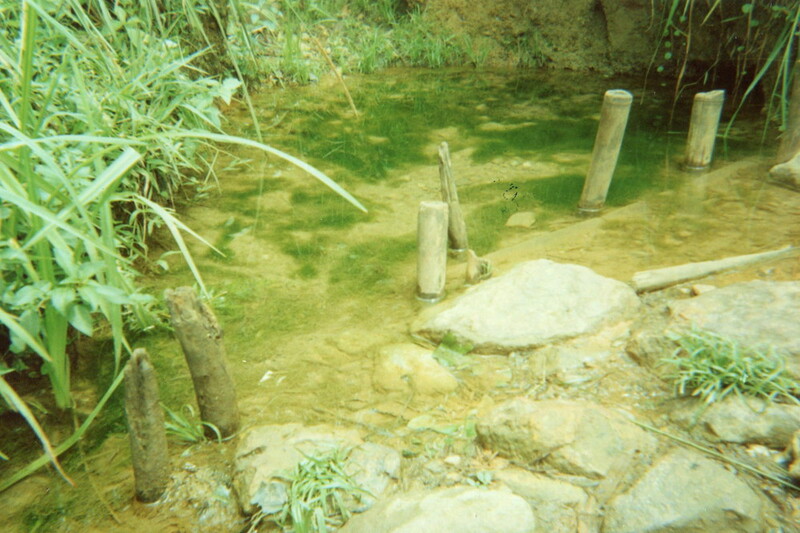 Concern: The villages were deserted during the war. Schools were destroyed and therefore need to be rehabilitated. The business center was destroyed during the war and needs to be rehabilitated.